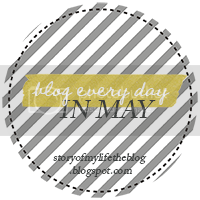 Blog Every Day in May - Day 1 - Nekaro & Co. It shouldn't come as a surprise that I have bouts of blog stage fright. I'd love to be one of those stay at home moms who blog about all the awesome stuff that happens. All the crafty things I make from Pinterest, but that's not me. 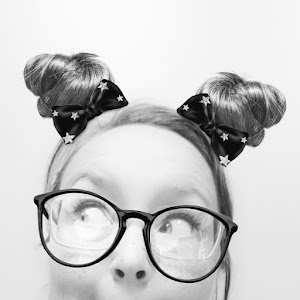 So when I ran across a post yesterday from Misty of Handbags and Handguns, I saw an opportunity to expand my blogging. Jenni, who blogs at Story of My Life, issued a challenge. Blog every day for a month. To help, there are prompts. Definitely helpful. There are rules, but no rules. I like it. I'm going to give it a whirl. Since I kind of missed Day 1 because I just learned about it, today I'm doing a two-fer! I was born in Russellville, Kentucky in 1978. The hospital I was born at is still there, but it's a derelict old building now. I went to the same elementary/middle school from Kindergarten through 8th grade. I was a band geek in middle school, playing the clarinet. I tried out for the color guard for the high school marching band and made it, but because I got sun poisoning during band camp before school even started and had to miss several days, I ended up having to quit band. Without band, I joined the Army JROTC class. I credit my ROTC teacher, LTC Clapp, with giving me confidence. I was always painfully shy when I was younger. He pushed me to first be a squad leader and in the end I was a company commander with a Captain Rank. I was a signature away from joining the Army. I was to do my basic training the Summer between my junior and senior year. Instead, I became pregnant. I was 16 years old. No sooner had I found out that I was about to have a baby, I had a miscarriage. I was young, naive. I didn't realize the gravity of loss. I am now married to that same man that helped me get through. We have been married for 12 years and have three beautiful, crazy kids. Neil is 13, Kaia is 11, and Rowan is almost two. Whoa... 250 words is not enough! Better luck next time! I had originally written this portion last night, but this morning (after it had published, of course!) I realized there IS something that I am knowledgeable about and can tell you about! So I'm setting up a post for later today! Stay tuned! !